If you’ve got a couple of weddings lined up and no idea what to get the bride and groom, we have plenty of resources for you. From unique wedding gifts for the bride to wedding gifts for the groom to the unusual wedding gifts we will discuss in this article. Getting the traditional china set is pretty boring, especially if the bride and groom are not very conservative. If they’re free spirits, then you’re in luck! We’ve got some awesome unusual wedding gifts that you can use as inspiration for your shopping spree, with prices for every wallet. 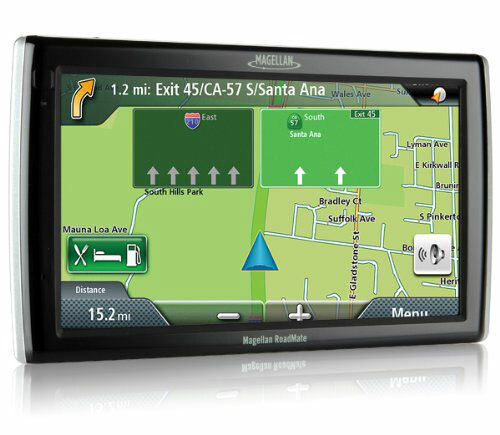 A GPS that will guide the happy couple through all their adventures and travels. Sounds cheesy, we know, but this is a great gift that they will surely appreciate. This product has free lifetime map updates and a 30-minute battery life. Get this for the active couple, for the couple who loves to travel and to experience new things. With this, they’ll never have to get lost again. A very cute and funny sheet set that the bride and groom will love! It contains 1 flat sheet, one fitted sheet, and two standard pillowcases. They’re made of 100% cotton sateen and the thread count is 300. Get this instead of the boring simple sheets people usually get newlyweds. You can choose between queen and king size. 8. 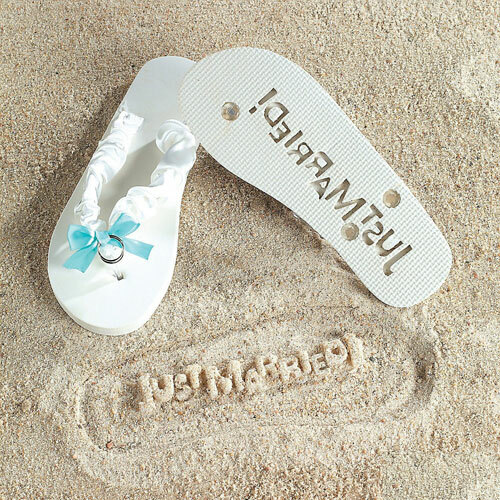 Fun Express “Just Married” Flip Flops Stamp Your Message in the Sand! Now, this unusual wedding gift will surely go in the honeymoon luggage. These flip flops will stamp a just married message in the sand so everybody who walks behind them knows that they’ve just got married. Brilliant idea, isn’t it? And for just under $10, it’s a bargain! 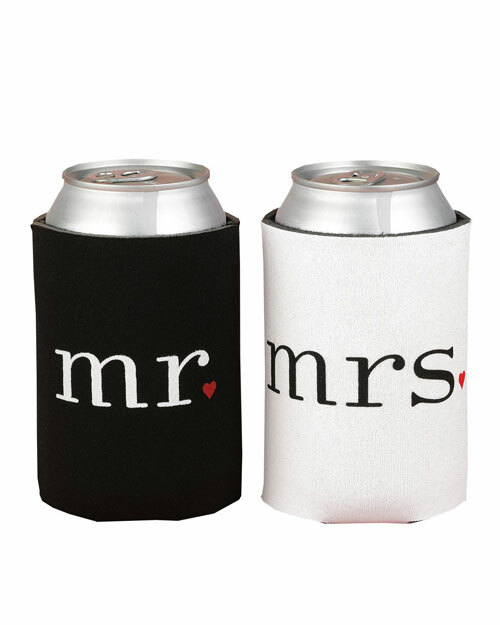 Another unusual wedding gift idea is these his and hers can coolers. Newlyweds jump at the occasion of calling themselves Mr. and Mrs., and they’ll love this gift. These foam can coolers are 4.1-inch tall and hold a standard 12-ounce can. Get this for the couple who can’t get enough of each other! 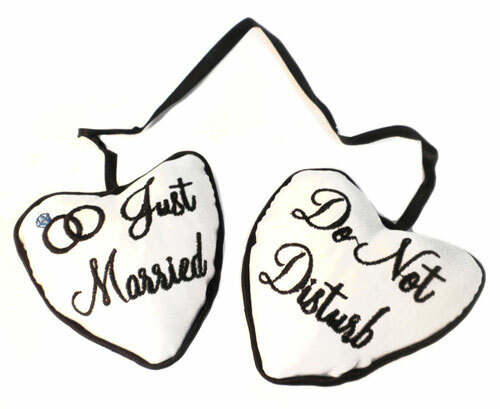 If there’s one thing the newlyweds are going to be using quite a lot the first few months of their marriage, then it’s this Do Not Disturb Door Hanger. You know how newlyweds are! They’ll probably take this velvet door knob sign with them on their honeymoon. It’s a fun gift that says: Have a happy life full of great love-making! 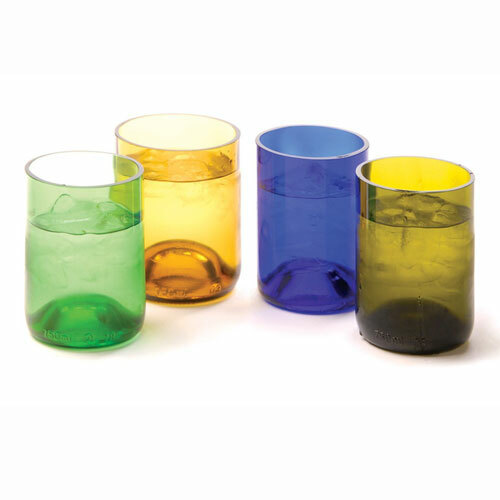 Getting the bride and groom glasses isn’t anything out of the ordinary, but these wine bottle tumblers are unusual wedding gifts because they’re made from recycled glass. They’re great for casual dinners or BBQs, nothing too formal! They’re also a great gift for an environmentalist couple. This funky wallet is for a ballsy groom… and bride. 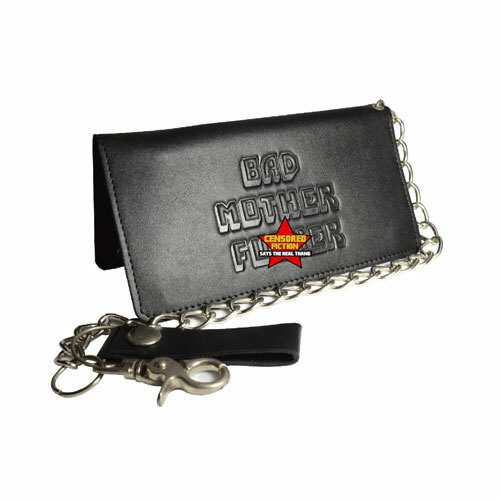 It’s the official BMF wallet that Samuel L. Jackson had in Tarantino’s Pulp Fiction. Just look at it! You can’t mess with someone who takes out this wallet out of their pocket! 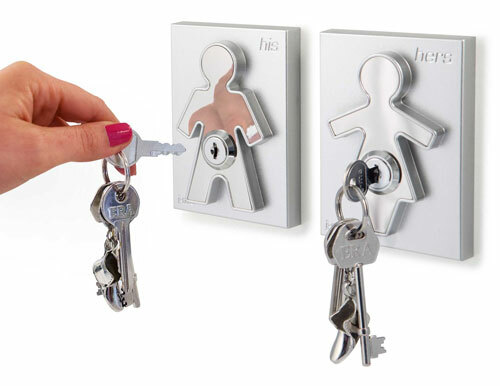 Another cute and fun unusual wedding gift idea – a his and her key holder. The holders come with their own unique key which is attached to your own set of keys. All you need to do is to insert it in its place and your keys are safe! What makes this key holder perfect is that there’s nothing protruding from the wall. The front face is a mirror so you can take one last look at your face to make sure everything’s dandy before you leave the house. When it comes to unusual wedding gifts, you can’t go wrong with these pillowcases. They have become a legend ever since they hit the Internet years ago. Here they are! 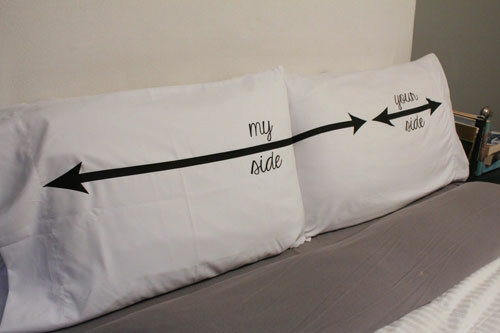 The My Side Your Side Pillowcases set! It’s a perfect wedding gift and Valentine’s Day gift. These fun pillowcases are made of luxury microfiber and are incredibly soft. They’re also machine washable and wrinkle resistant. 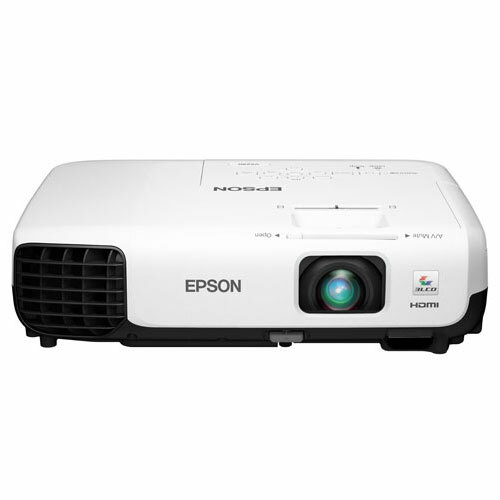 Not everyone can afford to have a mini home theater in their home, and with this projector, any home can transform into a cinema. There are cheaper ones out there, but if you’re looking for quality, for something that will last the bride and groom for at least half a decade, then this is the one you must choose. It’s got great image quality with SVGA resolution and HDMI digital connectivity with intuitive controls. What did you think of our unusual wedding gift ideas? Did we manage to inspire you? Do you have any other unusual wedding gifts you’d like to share with us? Drop us a line in the comment section below!